Light, salty and totally delicious, our couscous cakes work wonderfully as both appetizers and entrees. The recipe makes 12 cakes, or six servings, and it also works well when paired with a light sauce—especially one that’s made using our lowfat Greek yogurt. This is a great dish to whip up as an appetizer for the family, or you can even serve it as a light, healthy lunch. While you can make the recipe using ordinary couscous, if you’re looking to increase your intake of healthy grains, then consider making the recipe using whole-wheat couscous. If you think your friends and family might enjoy the recipe, then feel free to share it with them on Facebook, Instagram, Pinterest and Twitter. 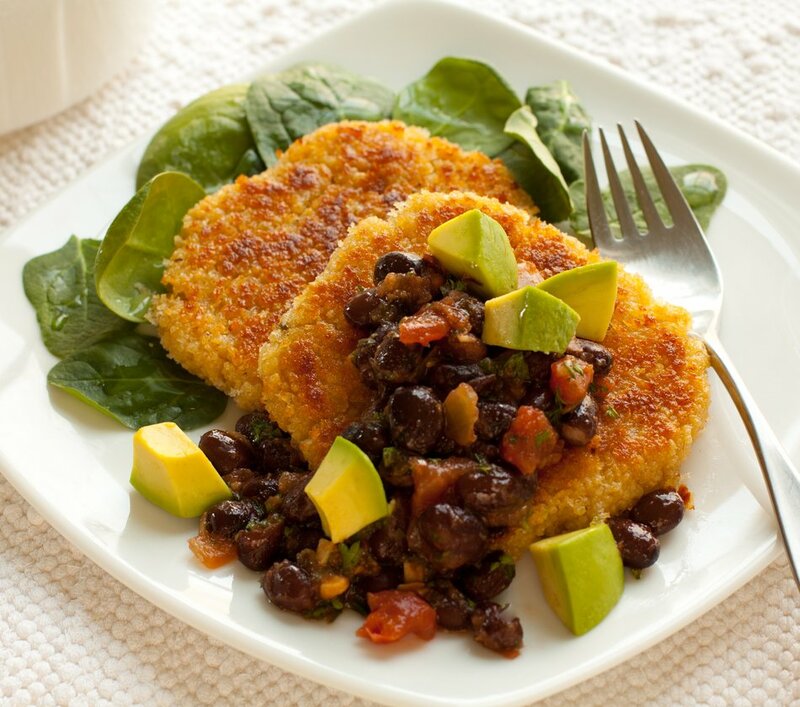 Couscous cakes are easy to prepare, and they only take a few minutes to cook. Ingredients are also pretty straightforward: you’ll need two cups of water, salt, some whole-wheat or regular couscous, eight ounces of Cabot Pepper Jack or Cabot Jalapeño Light cheese, an egg, Panko breadcrumbs, olive or canola oil, cooking spray, black bean salsa (you can make your own, or buy a jarred version), and some freshly diced-up avocado (which you’ll serve as a garnish). When preparing the cakes, keep in mind that it should only take about ten minutes total to cook them properly. Simply cook them for about five minutes on each side, or until both sides turn a nice golden brown. Can’t get enough cheddar cheese? Then we know you’ll love our recipe for cheddar cupcakes created by Grace Potter. 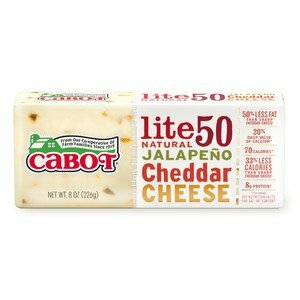 Cabot is a cooperative of 800 farm families—we work hard every day to create a wide range of dairy products, ranging from Greek-style yogurts to aged cheddar cheeses. 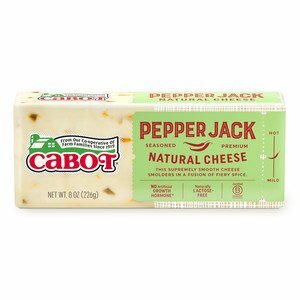 In fact, many of our cheeses are award winning—we’re confident that any recipe that calls for our dairy products will be a real success in your house. We hope you enjoyed our couscous cakes recipe. If you have any thoughts or feedback about the dish, then please rate and review it. BRING bring water and salt to boil in medium saucepan; stir in couscous. Remove pan from heat, cover and set aside for 5 minutes until all of water is absorbed. TRANSFER couscous to large bowl, fluffing with fork to break up any clumps and help it to cool. Let stand for a couple of minutes to cool slightly more. STIR in cheese and egg until well blended, kneading mixture briefly by hand if needed until it holds together easily. Shape mixture into twelve 3-inch patties, about ½-inch-thick. PLACE breadcrumbs and oil in small bowl, stirring until well combined; press both sides of each cake into crumbs until well covered. COAT large nonstick skillet with cooking spray, then place over medium heat; when pan is hot, add as many cakes as will fit. Cook until golden on underside, about 5 minutes; turn over and cook until golden on second side, about 5 minutes longer. Place in oven to keep warm while cooking remaining cakes. SERVE topped with salsa and avocado.